Hook A Kid On Fishing! 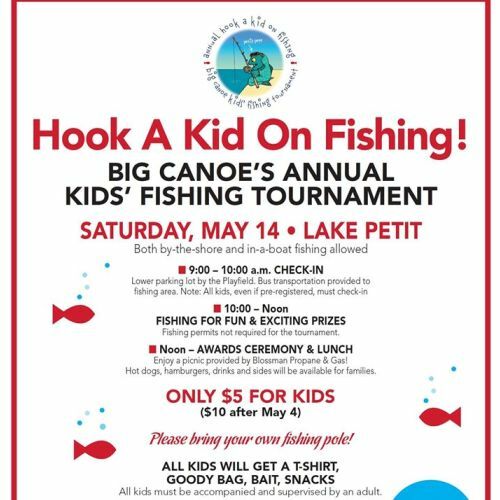 Big Canoe’s Annual Fishing Tournament on Lake Petit! All kids will get a T-Shirt, Goody Bag, Bait, and Snacks. The fun starts at 9 am on May 14th with fishing, an awards ceremony, picnic lunch, fabulous raffle prize and more! Bring your own fishing pole and all kids must be accompanied and supervised by an adult.